During the installation of Oracle 11gR2 on Red Hat Enterprise Linux 5 I stumbled upon a incorrect default setting for ASM disk discovery when using ASM lib. The discovery path is set to ‘/dev/raw/sd*’, which is incorrect because ASM lib creates the devices under ‘/dev/oracleasm/disks’. Another thing to be aware of is the ownership of the disks. You need to run ‘/etc/init.d/oracleasm configure’ in order to configure the owner. If you just hit return the ownership of the disks is set to root. 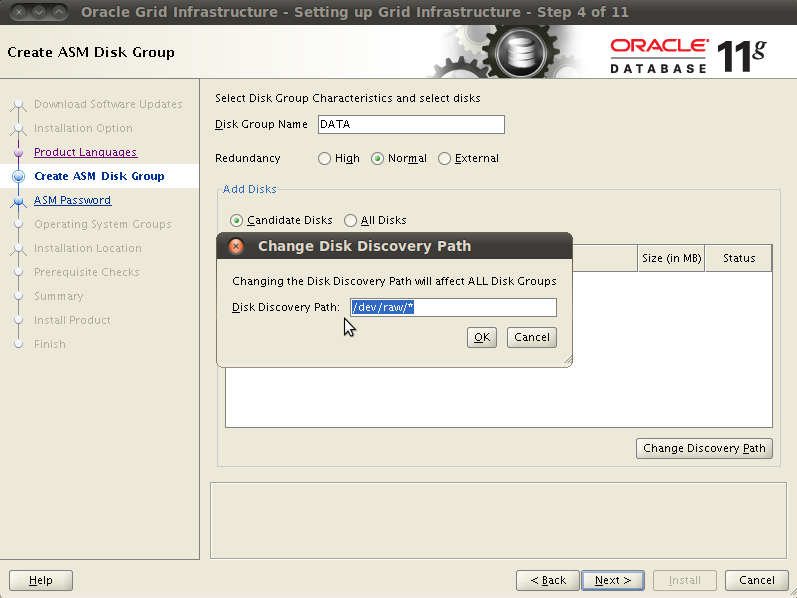 Because you will start the Oracle installation as user oracle the disks will not appear in the discovery step during the installation.